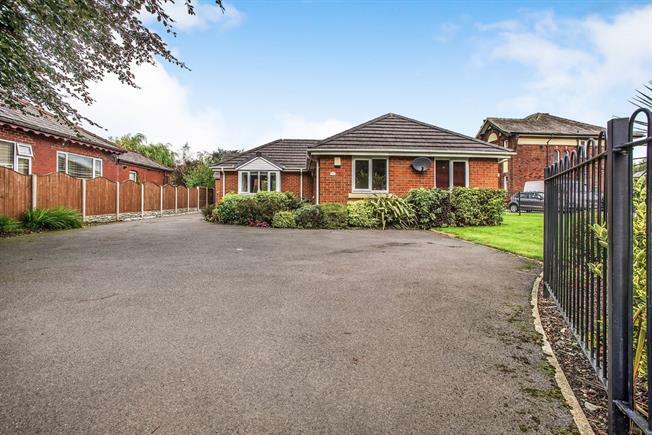 3 Bedroom Detached Bungalow For Sale in Leyland for Asking Price £249,950. FEATURED IN THE BIG OPEN HOUSE Sun 28th April 11am - 1pm Call to book your viewing slot! Beautifully presented modern detached true bungalow that was built on 2010 and superbly situated on a generous plot and set back from the road to add privacy and ample parking for several vehicles. The property briefly comprises of; entrance hall, lounge with feature bay window and French doors leading out to the rear garden, stunning modern dining kitchen with integrated appliances, master bedroom with fitted furniture and en-suite shower room, two further bedrooms with fitted furniture, modern family bathroom. To the outside; good size established front garden with a large driveway leading to a single detached garage, enclosed rear garden. A viewing is highly recommended. UPVC double glazed window, UPVC double glazed external front door, airing cupboard, radiator, loft access with pull down ladder and part boarded. UPVC double glazed bay window to front, UPVC double glazed French door leading out to the rear garden with UPVC double glazed full length windows either side, two radiators, gas fire with stone hearth and surround. UPVC double glazed window to rear, UPVC double glazed French door leading out to the rear garden, modern wall and base units with complementary worktop, one and a half bowl sink with mixer tap, integrated five ring gas hob with stainless steel extractor hood over, integrated electric oven, integrated dishwasher, integrated fridge/freezer, space for washing machine, tiled flooring, radiator, down lights to ceiling, boiler housed behind wall unit. UPVC double glazed window to side, radiator, modern fitted wardrobes with over bed wall units and chest of drawers, radiator. UPVC double glazed window to side, enclosed shower cubicle, low flush WC, wash hand basin, shaving point, part tiled walls, extractor fan, down lights to ceiling. UPVC double glazed window to front, radiator, fitted modern wardrobes to one wall. UPVC double glazed window to front, radiator, fitted office furniture including desk and wall and base units. UPVC double glazed window to side, low flush WC, pedestal sink, panelled bath with shower over, shaving point, chrome heated towel rail, extractor fan, part tiled walls. A single brick built garage with up and over door, power and light. To the front is a well established garden which is mainly laid to lawn with established shrub and flower borders, driveway providing off road parking for several cars leading to a single detached brick built garage. Gated access to the side leads to an enclosed rear garden which is mainly laid to lawn with a paved patio area and established shrub borders.